Only a couple of months have lapsed since Apple released iPhone 5. Already the rumor mill is abuzz with iPhone 5S release rumors. It has sort of become a tradition for Apple to release a smartphone with the S moniker, ever since it first did back with the iPhone 3GS. Apple released iPhone 4S after its hugely successful iPhone 4 and word on the street is that the company will definitely be releasing an iPhone 5S as well. Brian White, an analyst at Topeka Capital Markets, believes that iPhone 5S release will bring a variety of colors and screen sizes of this iconic smartphone. He corroborates what Peter Misek of Jeffries said last month about 6 to 8 different colors for the iPhone 5S. The different colors bit is understandable, the new iPod touch does come in a variety of different colors. Its the different screen sizes bit that makes me a bit skeptical. See, Apple deviated from its usual 3.5-inch screen size with iPhone 5, bumping it up to 4-inches. This not only provides a greater display resolution but also adds an extra row of apps on the Home screen. We know that Apple is not a company that would take a step back in terms of technological advancement. So what is this all about an iPhone 5S being offered with different screen sizes? As you may remember there have been many rumors of a cheap carrier free iPhone. Maybe, just maybe, Apple will finally go ahead and release that cheaper iPhone at the iPhone 5S release event. It is also believed that Apple will revert back to its old time frame of iPhone releases. The annual Worldwide Developers Conference has served as the venue for new iPhone releases multiple times. According to new reports Apple is thinking of combining the iPhone 5S release event with WWDC, as well as subsequent iPhone release events. 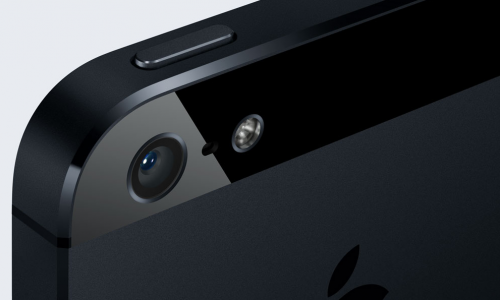 If that really is the case, we can expect an iPhone 5S release in Q2 of 2013.